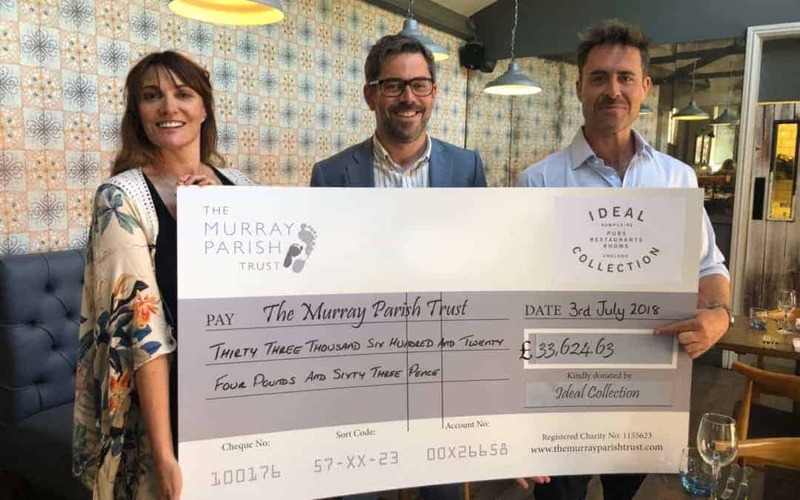 The Ideal Collection is a group of hospitality venues across Hampshire and Sussex who have been fundraising for The Murray Parish Trust since the beginning of 2016. Each venue donates £1 per children’s meal plus 50 pence is donated per bottle of New Forest Spring Water sold. 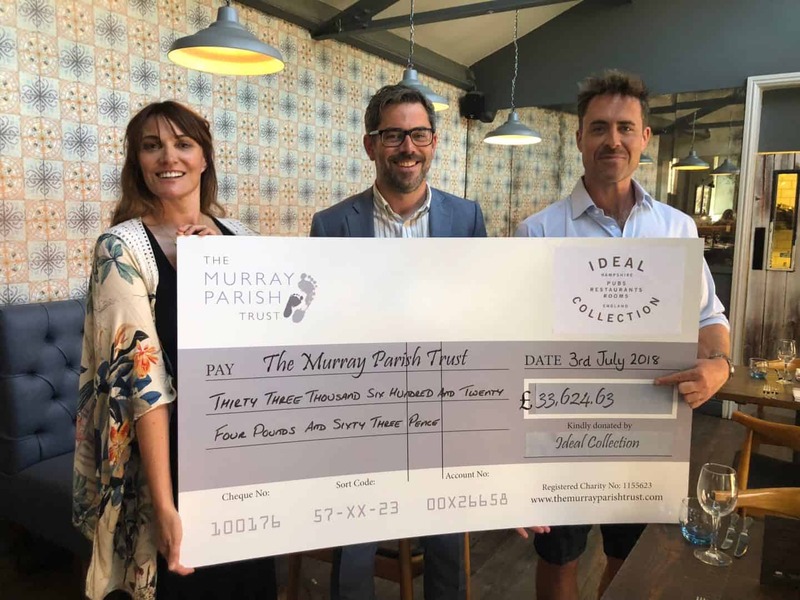 The venues in collaboration with local producers Hampshire Fare and Harvest Fine Foods have also organised several fundraising events for The Murray Parish Trust and the total raised so far is a staggering £33,624.63! 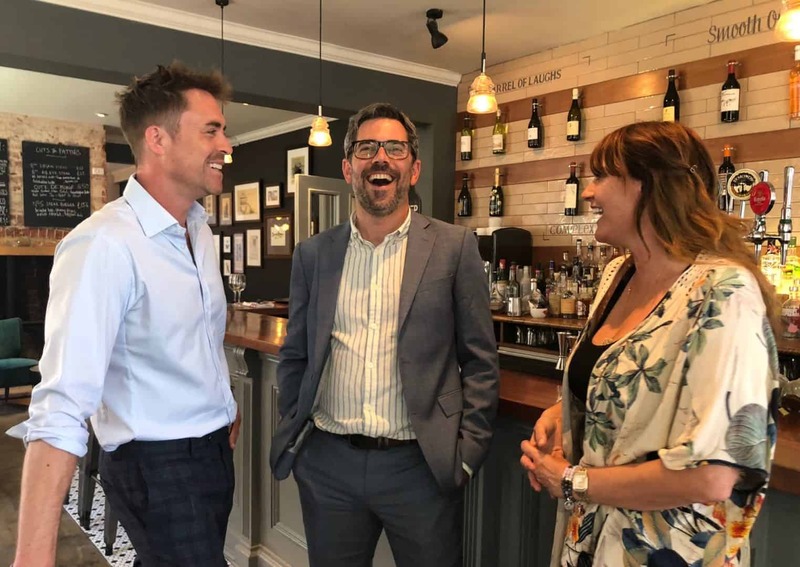 Managing Director, Oliver Weeks presented the cheque to founders of The Murray Parish Trust Sarah Parish & James Murray at No.5 Bridge St in Winchester on 3rd July 2018. The Ideal Collection have been a constant support in fundraising for our #2MillionSteps appeal and raising awareness of our cause for over two years now. This particular fundraising initiative showcases how far every £1 can go towards making a real difference to the lives of children and families across the South of England. The build of the new Children’s Emergency Department our #2MillionSteps appeal is funding, has begun already with patients hoping to be seen in the new Trauma centre as early as September this year. 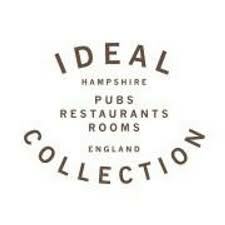 A huge thanks to all the team at Ideal Collection for everything they’ve done so far! No5 Bridge Street in Winchester, Hampshire.